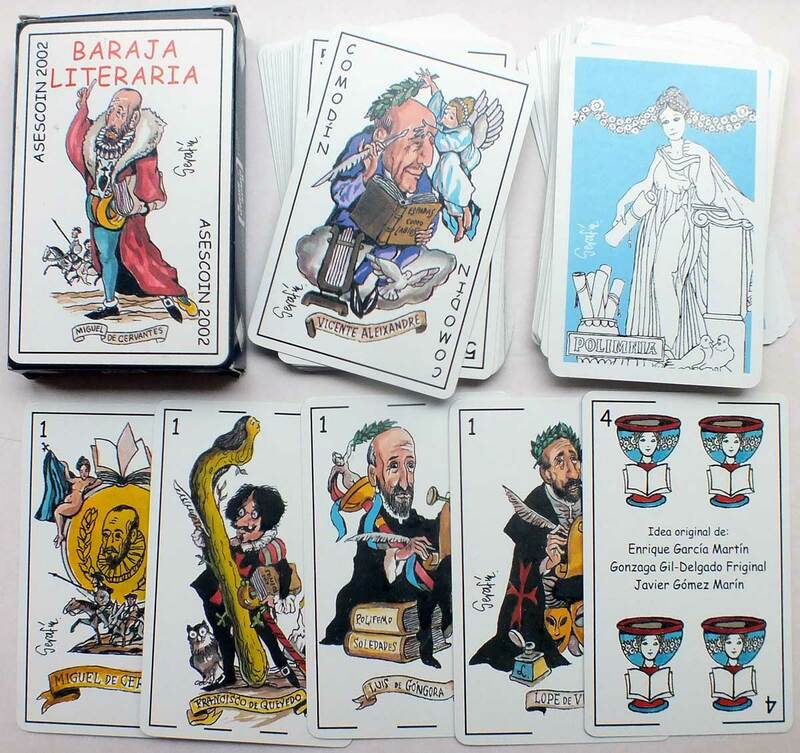 “Baraja Literaria” fantasy Spanish style pack with cartoons by Serafín Rojo Caamaño depicting famous Spanish literary figures. Published by Asescoin and manufactured by Naipes Comas, 2002. 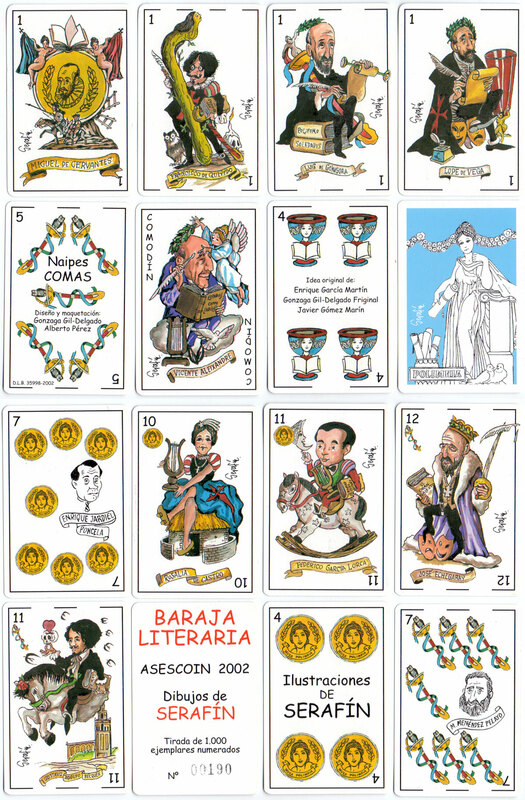 Above: “Baraja Literaria” Spanish pack with cartoons by Serafín, published in limited edition of 1000 copies by Asescoin and manufactured by Naipes Comas, 2002. 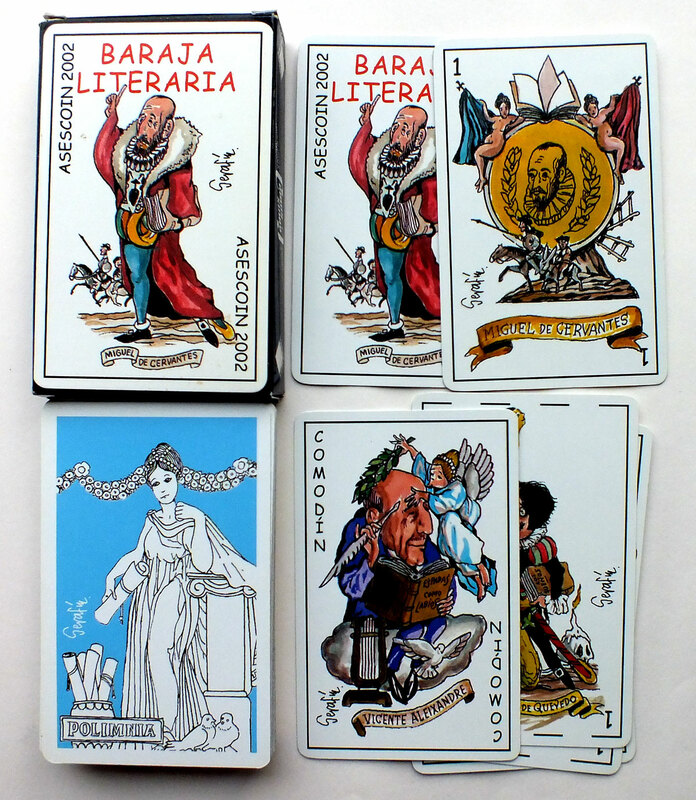 40 cards + 2 Jokers + 2 title cards + 5 explanatory cards in box. 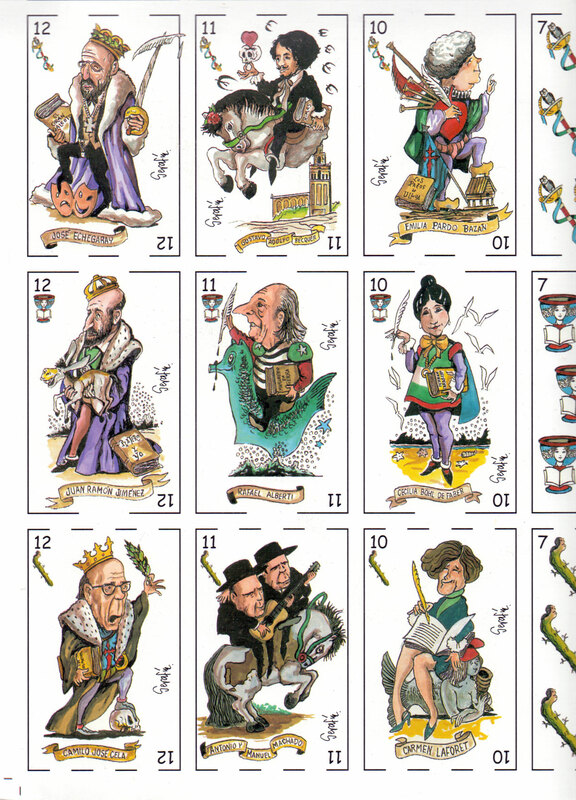 The reverse shows Polimnia (Polyhymnia), the Muse of sacred poetry, sacred hymn, dance, and eloquence as well as agriculture and pantomime in Greek mythology. 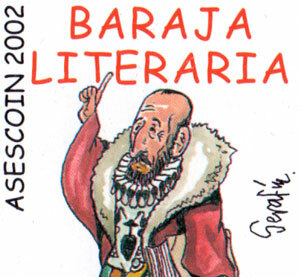 Above: detail from uncut sheet of “Baraja Literaria” with cartoons by Serafín, 2002.